The Pro-Tec Pool Party is over. 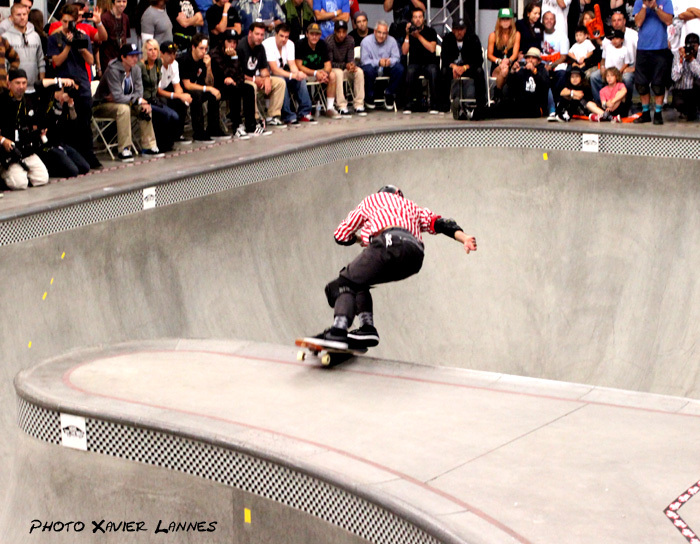 The winners are 1) Chris Miller 2) Caballero 3) Lance Mountain, 4)Tony Hawk 5) Eric Nash. Harold Camping’s followers may believe they have headed to heaven today, but they have been shorthanded by the Pro-Tec Pool Party. In the weeks and months before that fatal date, Camping’s true believers have been busy spreading the doomsday message on Family Radio who has reportedly spent $100 million on thousands of signs and billboards warning of what they believe to be the biblically-”guaranteed” May 21, 2011 rapture date. isTia did the same on … isTia blog at the cost of … $0.00: we predicted that May 21 would be another Armageddon at Vans and it was. Indeed. Unlike Family Radio who forgot 1) to provide the exact time of the doomsday 2) who forgot to broadcast it live, Vans scheduled the disaster….. at 9:00pm and the whole spectacle eading to the climax was broadcast on Fuel.TV and watched by a quarter of million skaters. Prior to the events isTia received emails from desperate skaters asking us to provide the golden pass to Heaven. We would have been happy to do so, but there were two major bummers: Heaven is in San Diego, not Orange and isTia is not Vans. 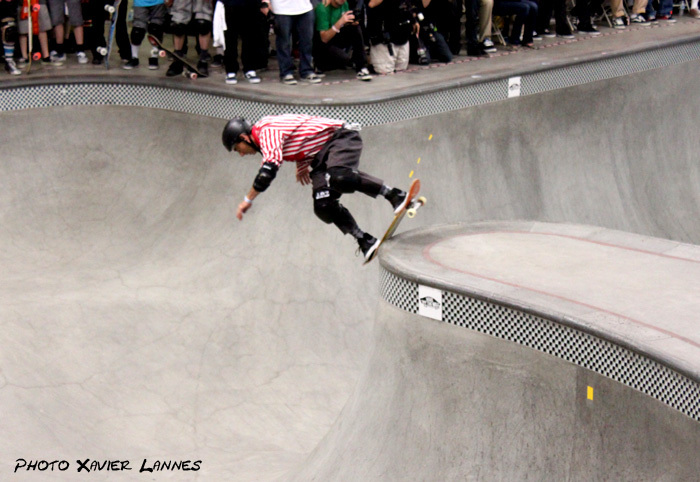 Vans Pro-Tec Pool Party 2011 is over! Long Live vans Pro-Tec Pool Party! 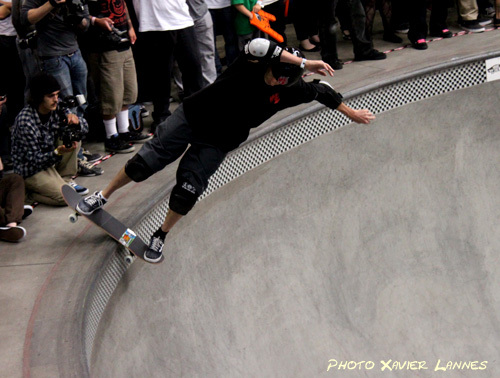 This year, the Masters’ field became even more interesting since in the past few days Tony Hawk declared he entered the fray just a couple of days ago…. 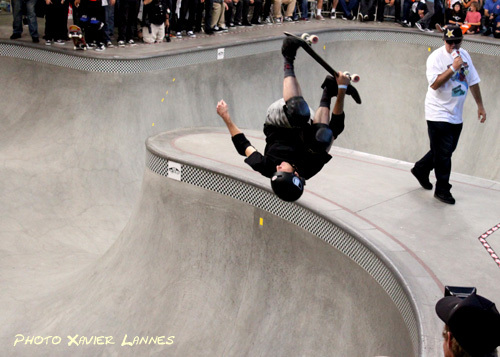 Everyone was so stocked that Tony Hawk Came to the Pro-Tec, especially since Hawk was skating his first contest in a decade. 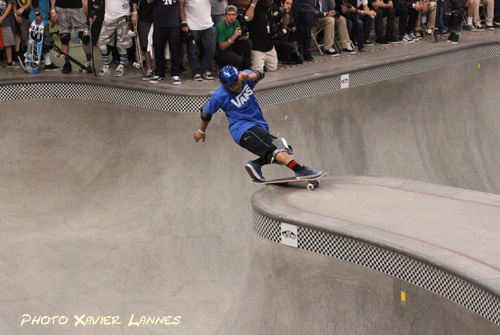 He was originally skating at the original Combi with Lance and Cab 25 years ago and to see them reunited again in the new Combi Pool is quite a thrill. 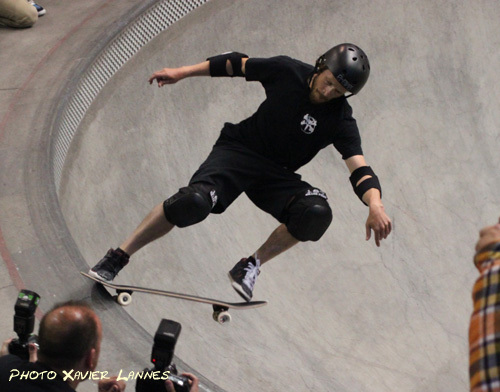 But, without any disrespect, it was actually kinda odd to see Tony Hawk riding the Combi, like I may have this wrong idea that the Combi is for different skaters. 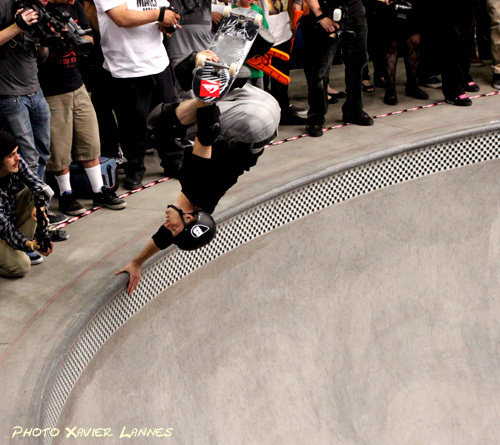 You know, the kind of skaters that listen to punk-rock and grind copings all day. Duane Peters: disqualified master outfitter. 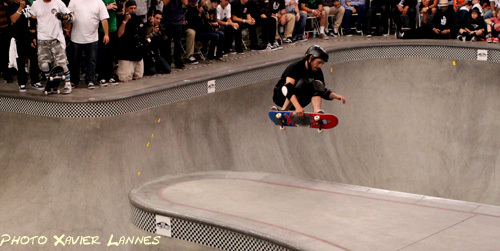 The list of tricks Tony Hawk did tonight was quite impressive anyway, including a lot of 540 and eventually landed at 4th place. Back to Lance who had some of the most remarkable and diverse runs ever. His lines included FS invert through the corner, 360 lien air there was even one run where he hit 23 walls in a row with tricks. He eventually landed on the podium at third place. great Cab can and a memorable finger flip indy airs. Everything was perfect. To no one surprise, Chris Miller regained his 1st place this year. Miller time again! Chris’ skating is amazing. 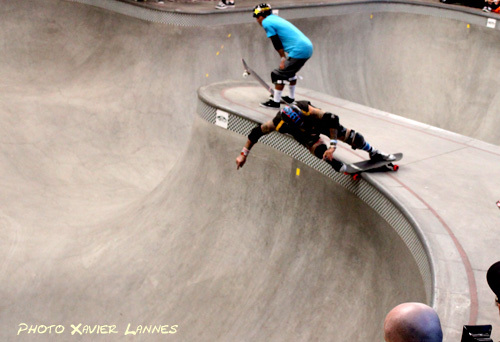 He skates in the Combi like it’s his way of life. He knows every line, every corner, every concrete bump of the Combi. He knows were to flow, were to get speed were to use the trannies to propels him. His lines are smooth, fast, fluid and flawless; he speaks a fluent Combi language. He mastered it, he owns it. Whatever superlative you have, just throw it in the basket: it will apply to him. Chris’ Combi skating particulars are exactly what is expected. 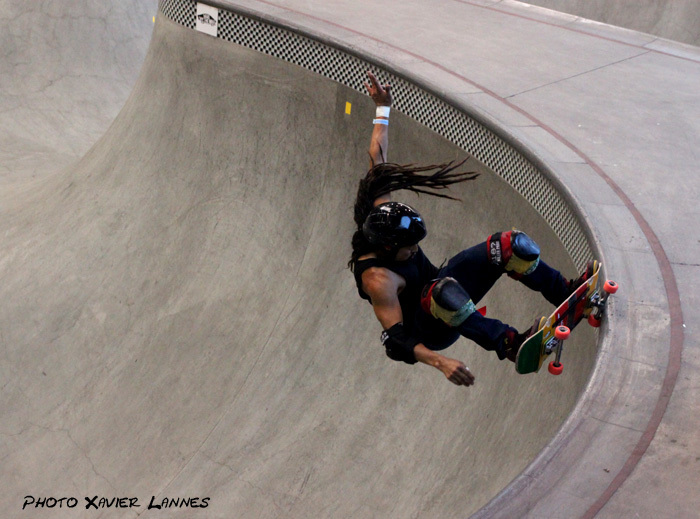 Seeing him skating in the Combi is pure bliss. Chris threw down 10-plus-foot bluntslides in every run, backlips around the corners and the biggest airs of anyone. He was crowned Masters of the masters and his victory is beyond the usual “well deserved”. Those who missed the action live can find complete event coverage including the webcast, in-depth blogging, photos and videos at vans.com/poolparty. Also, visit offthewall.tv for tons of video highlights as well as heats on demand, which will be available for Masters and Pros finals. 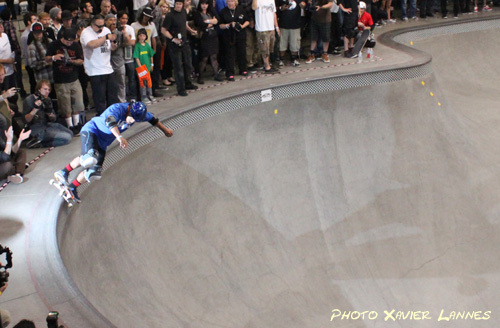 The Pro-tec Pool Party was made possible by the support of Vans and Rockstar Energy Drink.